The FIFA World Rankings have notoriously been a source of bemusement for the football community. With frequent anomalies and what appears to be an over-complicated points system, they are often seen as yet another example of the governing body’s ineptitude. 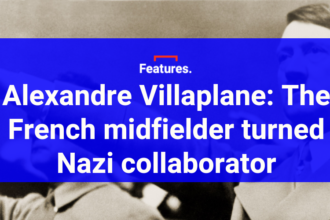 But the flaws in the formula have given rise to a new tactic in international football, with Wales and Romania currently at the forefront of shrewd ranking manipulation. A lengthy piece could be written explaining just why the World Rankings throw up such spurious results. Instead a couple of paragraphs will get the mathematics out of the way early doors, to use football parlance. The method of calculation is based on a reasonable principle. 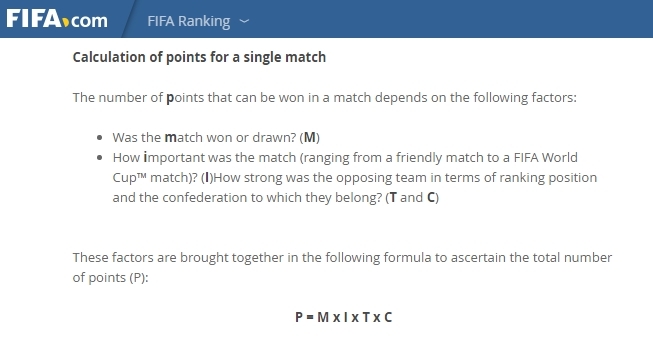 For every match a team plays points are accrued owing to the strength of the opposition, with multipliers applied to account for the match result (x3 for a win, x0 for a loss) and the competition (x4 for a World Cup, x1 for a friendly). An average of the points gained in every match over the last four years is taken (with a higher weighting applied to the most recent year), resulting in the team’s current points for ranking purposes. The fundamental flaw is that considerably lower rewards for friendlies can drastically erode a decent average obtained from competitive matches. Without getting into the complexities about how this should be rectified with weighted averages to reflect the lesser importance of friendlies, the crucial upshot is this: for the most part, friendly matches are damaging to the top countries’ ranking points – even wins. Astute nations who are willing to look beyond the published list and investigate how the rankings actually work have therefore been getting involved in the numbers – assessing how a friendly result against a certain team might affect their ranking and, in extreme cases, considering if it’s worth avoiding those fixtures completely. If the rankings existed only for the purpose of prestige, there wouldn’t be much of an issue. The significance is that they are used by FIFA to decide seedings. Having a poor system is one thing, but FIFA’s incompetence has even seen them fail to implement the process accurately in the past. For the 2014 World Cup qualifying draw, Wales and the Faroe Islands stood joint 112th in the World Rankings. Crucially, Wales were listed higher and would benefit by entering Pot 5 in the seedings rather than being placed in the bottom pot with perennial strugglers such as Andorra and San Marino. In stepped Faroese student Jakup Emil Hansen, who calculated that if taken to decimal places, Faroe Islands should have been 0.07 points better off than Wales. “I’m not an expert with computers, I’m not a mathematician, I’m not even very good at maths,” Hansen told the Telegraph. “But I would like to be a journalist and I thought I saw something wrong. All I had was my computer at home and the calculator on it.” His intervention saw FIFA put under pressure, and eventually Faroe Islands claimed Pot 5 – with Wales dropping into the bottom group – after the error was corrected. 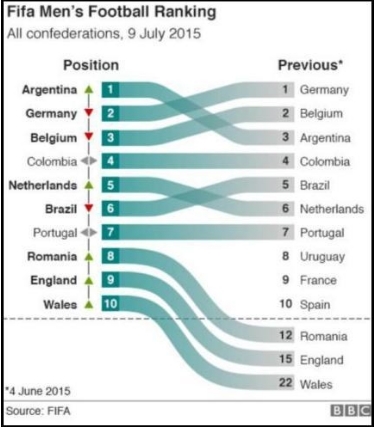 It seems as though this farce resulted in the Welsh FA giving more attention to the rankings mathematics. On Monday they begin their 2018 World Cup qualifying campaign having jumped from the bottom seeding pot to the top in just four years. The key aspect of Wales’ remarkable rise is that, following a friendly against Netherlands in June 2014, they went an incredible 17 months without playing another non-competitive game. So in July 2015 – with detrimental friendly ranking points avoided – Wales entered the world’s top 10 for the first time their history. Whilst the preposterous nature of the rankings was mocked again as the media covered Wales’ dramatic climb from 117th place in 2011, Chris Coleman and his backroom staff were quietly congratulating themselves on successfully manipulating their position right on cue for the imminent 2018 qualifying draw. Fellow brainiacs Romania had completed a similar strategy, emptying their calendar of fixtures in the 12 months prior to the draw, except for Euro 2016 qualifiers and a single home friendly against Denmark (a relatively harmless 2-0 victory). This is not to dismiss the contributing effect of positive results on the pitch. Romania were unbeaten and conceded just two goals in Euro 2016 qualifying, whilst Wales reached a major tournament for the first time since 1958 as a result of Coleman’s shrewd leadership and Gareth Bale’s heroics. But it serves to demonstrate the power of adopting a mathematical tactic against a deeply flawed system. 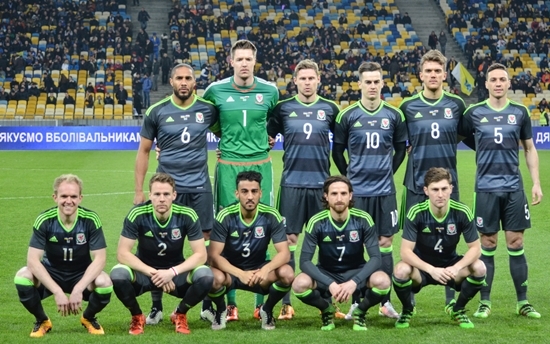 Seedings for 2018 qualifying were duly announced – naturally based on the current FIFA rankings – and so Wales and Romania landed in the feted Pot 1 along with seven other top European teams. Their measured approach to match scheduling significantly increased the odds of receiving an easier group, while traditional heavyweights France and Italy have landed in Pot 2 and now have to negotiate tough draws against Netherlands and Spain. Both France and Italy must have expected to enter groups similar to Wales’ or Romania’s, but the smaller nations played the percentages and earned their bit of luck to receive a more favourable draw. Relative group toughness may still be debated, but you can’t do any more to help your chances than get yourself into a higher (or indeed the highest) pot. It’s of some satisfaction to know there is potential for weaker nations to shift the balance of power through smart thinking. Wales and Romania are not the first, either. In the run up to the draw for the 2014 World Cup finals, Switzerland played just three friendlies, which included a victory over Brazil. This helped them to creep up to seventh in the World Rankings, thus earning a place in Pot 1 as the final top seed for the draw (with hosts Brazil automatically taking a spot despite being outside the top eight). With better planning, any of Netherlands (eighth), Italy (ninth) and England (tenth) could easily have stolen Switzerland’s precious seventh place, but Netherlands and Italy played rankings suicide by arranging friendlies against the likes of Indonesia, San Marino and Haiti in 2013. England’s five friendlies in the year preceding the draw cost them a seeding place which would have been achieved by cancelling just one game. Even a win and a draw in two matches against Brazil couldn’t help them. 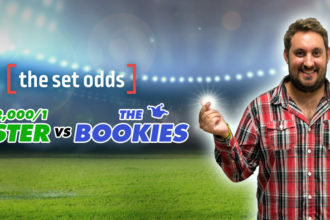 This is not to decry the value of friendlies, which are a risk-free way of blooding new players and trialling different tactics – not to mention a valuable money-spinner – but there’s a definite trade-off. England’s friendly preparations may have helped Roy Hodgson negotiate a tricky qualifying group, but a longer term strategy might have paid off better. Wales proved that even going through a full ten-match qualifying campaign without playing any other fixtures is not necessarily detrimental. After the World Cup groups were drawn in December 2013, a hypothetically seventh placed England could have gone friendly-crazy in the lead up to Brazil, where Honduras and Ecuador could have been waiting – teams which Switzerland sent home early. Roy Hodgson’s pre-draw sentiments were another example of the kind of lackadaisical thinking which contributes to England’s recurring failures at major tournaments: “I said right at the start that I’m more than happy that wherever we find ourselves, whatever pot we find ourselves in, whoever we’re asked to play, I’m just so happy that we’re here and I think we’ll give a good account of ourselves when we get here.” It was the same message ahead of the last 16 at Euro 2016 after England finished second in the group. Perhaps seeding is not all that important as Hodgson claims and, if a team is worthy of doing well, they should be able to beat anyone drawn against them. 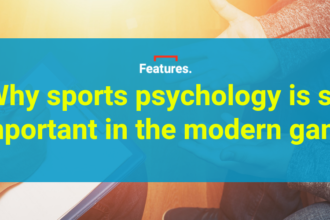 But even the best teams have off-days and, crucially, an off-day against a good team is likely to be more damaging than against an average team. Had Steven Gerrard’s misplaced back-header against Uruguay fallen to a lesser striker than Luis Suárez, it might not have been terminal for England. An ‘easy draw’ thanks to the highest seeding – or at the very least an easier draw – is unquestionably a key factor which contributes to success. Both Italy and England had it in their own hands to increase their chances in Brazil, and so full credit now goes to Wales and Romania for making their own luck. It would seem somewhat generous to say their World Cup qualifying strategy is genius, however, when it is simply basic management upon investigation of how the rankings are calculated. Moreover, even if not taking it to such extremes as the Welsh did, it’s actually indefensible for any football association not to be considering the massive implications of their friendly fixtures on crucial seedings. At least as long as FIFA persist with such a ludicrous ranking system. England fans will hope that the new regime under Sam Allardyce will already be strategising for 2018 with the same acumen as their Welsh counterparts. The road to success starts with a calculator.